Learn Reiki Healing for new baby. This is the perfect class for pregnant parents-to-be. Want to learn a powerful yet gentle energy medicine to use for self and new baby? Then Reiki Healing is for you!!! Learn Reiki Healing for new baby. Reiki (pronounced “ray-key”) Healing is an ancient Japanese hands-on healing art. It is a method of healing that is considered a form of bodywork. As an energy medicine. Reiki supports healing the body, mind and spirit. When you learn Reiki Healing for new baby you channel universal (rei) life force energy (ki) through the palms of the hands. The hands are placed on or slightly above the baby’s body. Being held in a specific position for about two minutes, the hands are then moved to the next position on baby as taught in the Reiki I Class. When you and your baby receive Reiki Healing energy you both will experience it as being gentle, loving, peaceful, nurturing yet very powerful. Receive Reiki Healing Energy to improve the immune system, relieve pain, release energy blocks, lift depression including the “baby blues” while supporting deeper relaxation and sleep. The body is in rest and repair mode after the Reiki Healing session so it is best to stay relaxed for the rest of the day. Learn Reiki Healing for new baby and yourself. Experience the subtle yet powerful healing nurturing energy as you bond with your precious baby. For more than 32 years I have been helping many people from all walks of life and across the world, including India, China and England. 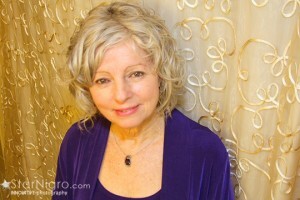 Some clients prefer to come see me in person for an Intuitive Reading.